On this, their first release, Chasmdweller offer up two lengthy tracks of death-flavored atmospheric doom, leading with “Plague Monument”, a slow-crushing roller with breaks into rampages sourced from the death metal side of its heritage. Boggy reverb and cave-like acoustics add to the dungeon vibe, as do the intentionally muffled vocals. Touches of electronic texturing further it even more, while also providing solid intro and outro coverage, and the murkiness of it all is spun together with a good ear for how to combine flavor with big riffs and healthy momentum. The second half, “Clotting of the Sacred Artery”, pulls a synth intro as well, but develops into a paganistic tambourine-and-drones piece that shows the group's melodic side in ominous fashion. After about four minutes of that examination, the more traditional metal resurfaces, breaching with a driving drum pattern and bass riff to match. Following their ride, a sink back into hissing drones leads the way to the finish. 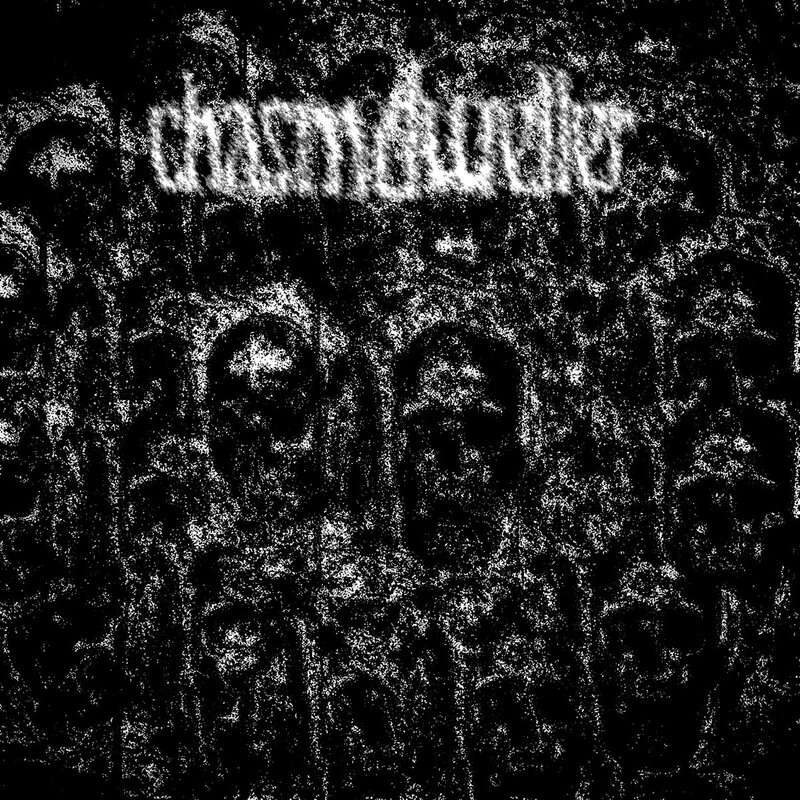 Though it's a quick trip through the mini-album, Chasmdweller certainly make a good showing in that stretch, and their blending of well-executed death doom with more uncommon elements shows not just a promising inclination towards experimentalism, but also a refreshingly out-there twist on a style that can often end up too predictable, even while staying enjoyable. That they don't blend the metal and dark electronic portions more directly into each other is a bit of a shame, but as an introductory release, it does a great job of piquing interest while letting its songs stand firm on their own. A very limited run of cassettes is up on the BandCamp page of the label, Static Void Records, or you can snag a digital copy for just $2. At the very least, swing by the page and give it a listen to hear some enjoyable oddness applied to the doom foundations.